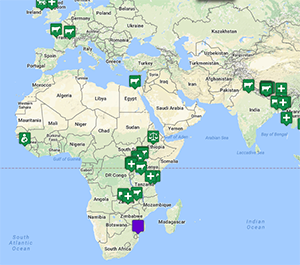 The IVM core course, which all veterinary students take in their first year, introduces global issues in the veterinary profession. This course reviews the roles of veterinarians and animals in various environmental, economic and demographic contexts. The ecological foundations of the major animal production systems are explained. Disease deterrents to production and commerce are reviewed. The structure and function of animal health services are correlated with economic and social structures. Emphasis is placed on the development of socially, environmentally, technically and economically sound solutions to livestock- and wildlife-related problems in the developing world.